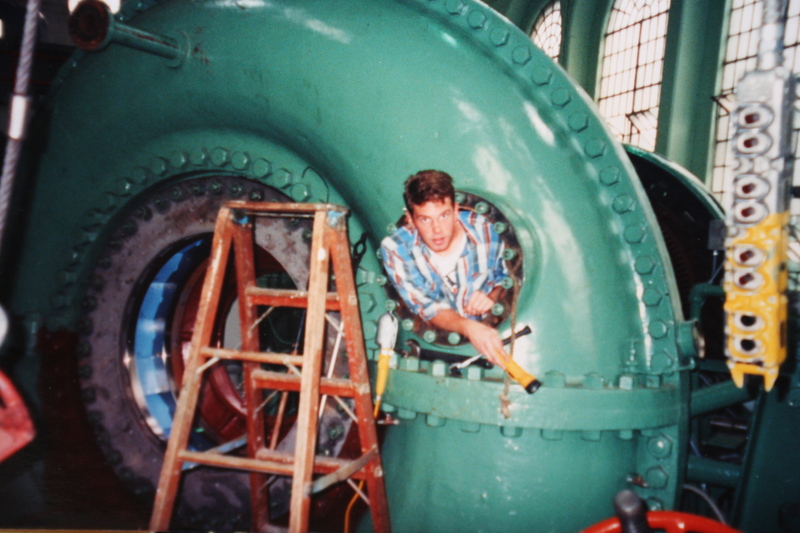 That’s me climbing out of a hydroelectric generator at the Bull Run hydro plant in ’92 or ’93. I worked there two summers in college. Part of the job involved working in the generator room and helping a machinist take the giant turbines apart to be cleaned and maintained. It wasn’t a job for the claustrophobic. The other part of the job involved maintaining the wooden flume that brought water from the Bull Run watershed to Roslyn Lake. Sometimes it meant digging the soil away from the support beams. Other times they’d dam up the flume and we’d tear out the old floor boards with a shovel to replace them. I got to be very good hammering a nail in with just a tap-SMACK, tap-SMACK. 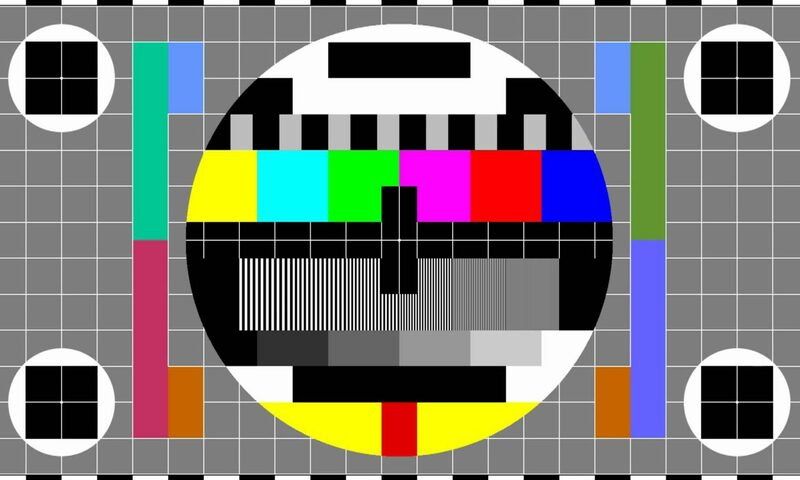 It’s fun to get all nostalgic, but honestly it was very hard work and I hated it for the most part, couldn’t wait to get back to school. I enjoyed the trolley rides along the flume and out through the forest. I got to climb a tree with just boot spikes and a rope, the way the old school loggers did. But on the other end of things, I once sat for seven hours counting fish coming over a fish ladder (there was maybe one fish every 15 minutes). I spent an entire day in a dark, giant pipe in water past my ankles digging out sludge. I used to wash machine grease off my hands by dipping them in a coffee tin full of “solvent.” On a few 80+ degree days, I wore a jeans and a long-sleeved flannel to hack brush with a chainsaw. I got teased endlessly because I was a college student. Every Monday morning I had to collect garbage and the occasional used condom from around Roslyn Lake. Which is why I suddenly remembered all this stuff that mostly doesn’t exist anymore. On Facebook Chris Harley linked to a story about a plan to bring elephant herds to the former Roslyn Lake. He also linked to a great Flickr set about Bull Run Hydro which is where all the linked photos come from. The power plant is shuttered and both the flume and Roslyn Lake are gone now. But Portland drinking water still comes from the Bull Run Watershed. It’s a bit of Portland history and culture located 26 miles away from downtown. Soon, maybe, with elephants. Next PostNext Over 100 people helped make "Did You Kiss Anyone?"